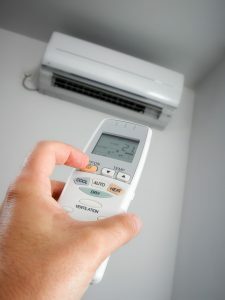 Ductless System Repairs | AllTech Services, Inc.
Do Ductless Systems Have Unique Repair Needs? The short answer to this is, “yes.” But that shouldn’t deter you from considering this HVAC system as your next home comfort installation, if you don’t already have one! This is actually one of the most common options for heating and cooling in modern homes, and for good reason. 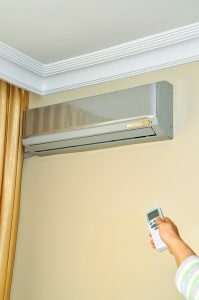 Instead of operating through a network of ducts connected to an indoor air handler and evaporator unit, ductless systems break up the indoor unit and blower fans to distribute air throughout the home by use of mini air handlers mounted on the wall in each of the rooms intended to be heated or cooled. This set up allows for effective and efficient heating and cooling around the home. But it is important to know that ductless heat pump systems do have special needs and can malfunction in the same way a regular heat pump or air conditioner can, just with a few added factors to consider. Posted in HVAC | Comments Off on Do Ductless Systems Have Unique Repair Needs?